Email marketing present so many benefit over other traditional forms of marketing. It drives better returns on investment and customer engagement metrics than other marketing techniques because of Reduce Overhead Costs and Reduced Time and Efforts. Did it get lost in their inbox? Did they click on mail links? All these points can be taken into account by integrating just one third party service i.e. Customer.io. Customer.io is a third party service that provides the facility to set trigger points for sending emails based on user events and Segmenting users using criteria. Also using single trigger we can send a series of messages. And it automatically stop sending mails once the user stop matching trigger creteria. It also provide the flexibilty to trigger emails during a defined time period only. We can track user conversions by connecting every message to an action. And can measure the sucess of our email campain. We can add as many attributes as we like. 4. In addition to user information, you may want to track user events like “purchased” or “subscribedToNotification”. Customer.io also Provides APIs for creating user and add events to it. Hope this help you to send right message at right time. 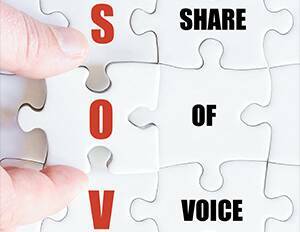 How to Measure Organic Search Share Of Voice?